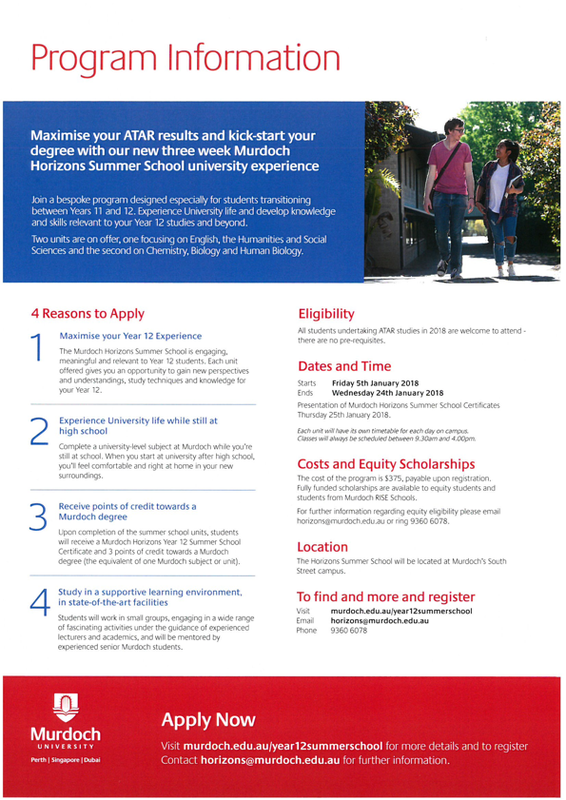 Murdoch University has a new Year 12 Summer School program that aims to maximise your Year 12 experience. It runs during the next school holidays and you can complete a summer school unit of your choosing and receive 3 points of credit towards a Murdoch degree (that’s the equivalent to one Murdoch subject or unit). You get to experience university life while still at high school and study in state of the art facilities. More info below. We have been advised of a case of chickenpox in Year 11. Please refer to http://healthywa.wa.gov.au/Articles/A_E/Chickenpox-varicella for further information on this disease. If you notice any symptoms or are unsure, then please consult your GP.